Wynn Resorts has seen a massive decline in share prices during the last few days as a result of the accusations raised against chairman and CEO Steve Wynn. Wall Street analysts are now predicting competitors will acquire Wynn Resorts once share prices hit rock bottom. When the Wall Street Journal published the exposé against Wynn, gaming analysts stated that these allegations would not have any impact on the Nevada based casino operator. They were so very wrong as the exact opposition happened and Wynn Resorts share prices plummeted from $200 – which was the price before the WSJ published its article to $160. This massive decline in share prices has saw Wynn Resorts lose $3.5 billion in value and that has sent investors into a panic. Things could get worse for Wynn Resorts as a number of vested interests might severe their ties to Wynn Resorts and Steve Wynn which would then cause share prices to drop even further. 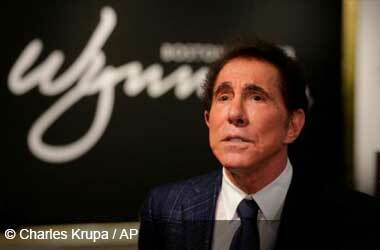 There is also pressure on Steve Wynn to resign from Wynn Resorts. The Massachusetts Gaming Commission and the Nevada Gaming Control Board are both investigating Steve Wynn’s involvements in the alleged sexual harassments and if found guilty, the two regulating boards can come down hard both on Wynn and his company. The Massachusetts Gaming Commission can revoke the license they awarded to the company to build the $2.4-billion Wynn Boston Harbor Resort in Everett, while the bigger Nevada board can force Wynn out of the company. JPMorgan and Morningstar believe that a Wynn sale would become more realistic once share prices hit $140 to $150. Once this happens, Wynn Resorts could then sell for $22 billion. Once Wynn Resorts becomes viable for a takeover, analysts believe that Las Vegas Sands Corp. will be the most likely to acquire the company, taking into account its market capitalization and strong debt positioning. Sands can even proceed with the acquisition without diluting the stakes of its CEO Sheldon Adelson, if they were to finance the purchase with the 49-percent sale of its $3-billion worth of retail assets in Singapore. Still, two factors stand in the way of Sands: one, that an all-cash Wynn purchase might stretch Sands too far to pursue its wishes to open a large-scale integrated resort in Japan; and two, that Macau gaming regulators could now allow Sands to increase its five casinos in the gaming capital to seven once it removes the two Wynn casinos in the region. There are other casino operators who will also be looking at a potential acquisition. These include MGM Resorts International, Hong Kong-based Galaxy Entertainment Group and Malaysian-based giant Genting.